Hello everyone, I am new to the forums here.. My husband and I have been trying to conceive for almost two years. 6 cycles of clomid=fail. Then femara which made me ovulate twice but no luck just negative results, and now I am dealing with complex endometrial hyperplasia without atypia and PCOS. I have been told by doctors that I need to take three months of progesterone therapy for the endometrial hyperplasia then have another biopsy to be sure it’s cleared up and then the ok from my OB to go back to the infertility clinic to start femara again. I am so overwhelmed with all of this and can’t stop but wondering.. When is enough enough.. My husband and I are looking into adoption while continuing this infertility madness.. I am currently 34 I will turn 35 in three months and wondering what my chances of fertility will even be if we continue with fertility treatments. Has anyone gone through both at the same time?And how do you know when enough is enough? I feel like it could go on forever with no results where as adoption it seems more hopeful. Thoughts? We did AI and start our foster to adopt and IVF paperwork, etc. 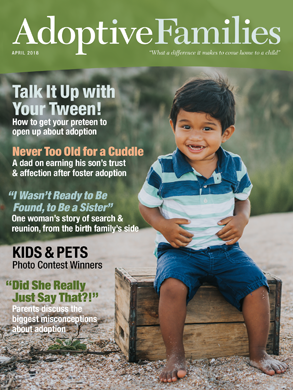 all at the same time� after a few years of trying I just wanted a backup and foster to adopt is free� I was ready to go with IVF and foster to adopt at the same time� we had no children, so we asked for 0-5 yrs and sibling groups ages 0-5�. We then prayed whatever was to be would happen first� we were due to go in and begin IVF on a Monday and the Thurs before got a call to take 3 little girls ages 0,1, and 2� we did, we adopted the baby and the two older girls went home to their dad and we see them about once a month� later we adopted our daughters baby sister� and then a referral baby from that same family�. We went from 0-3 very fast with foster to adopt(the last 2 were private)�. I was actually relieved to cancel my IVF and be done with that roller coaster and start on a new one�. Everyone is different, I don�t see the harm in trying 2 things at once�. Increasing your odds and increases your chances� maybe both will work�. Best of luck�. My husband and I have been struggling with infertility for what seems like forever. 6 iui’s, ruptured ectopic, collapsed uterus. I could go on and on. Finally one day my husband and I had a long discussion about the letter “P” for so many years we kept thinking pregnant and pregnancy- and that day.. it just clicked. P stands for Parenting. We have been waiting for over 2 years now but although I to have had my ups and downs in this adoption journey- I know there is a light at the end of the tunnel. Thanks for posting (I didn’t even realize there was an infertility support group on here, and think it’s good!). My hubby and I got married 4 years ago (both age 33) and started trying right away to get pregnant. I have very close friends with infertility, so I always knew that it could be a possibility. And I had always hoped to adopt (“have one, adopt one”... in that order) anyway. So I was unprepared about how DIFFICULT a process it would be to really move from pursuing fertility to adoption, and we’re not even fully there yet. I had originally said “after one year of trying, we’ll start the adoption process”, but I wasn’t ready until after 2 years of (unexplained, with some sperm issues) infertility. That was 2 years ago now, and between the slowness of our region’s adoption system and our own slowness of moving through the process we are only now getting to the “waiting to be matched” stage. And up until this very month, I would have said that pursuing pregnancy and adoption at the same time was, for me, not a very good approach. Both had so much stress and decision-making and disappointment and intensity involved. I was naive when I started the adoption process, and had no idea of the challenges it contains (emotional, decision-making, paperwork-filling, paperwork-filling, paperwork-filling…). I think it may have been better to move more smoothly and quickly through the fertility path before embarking on the other. BUT ask me if I would do the same thing over again and I would say YES. It’s part of who I am, to want to do everything I possibly can, thoroughly. And I’m very happy that now, as I am letting go of our pursuit of pregnancy, we have all of our ducks lined up for our adoption to proceed much more quickly than if we were just starting now. What has changed this month? I finally went for my HSG (tubes imaging) test. I doubted that they were blocked, and didn’t want the x-ray exposure until it was the “last resort”. Sure enough, tubes aren’t blocked (to be honest we were kind of hoping they would be, and then we would have our “reason” and be able to move on). But through this experience, I have found another way to “move on”. I know that fertility rates are shown to increase for the 3 months after an HSG. So we have decided that THAT is it - our final pregnancy-pursuit-finish-line. Whether or not we are pregnant, we are done. We will move on to the adoption with the feeling that “we did everything we could” (within our own comfort zone, which included each and every alternative fertility treatment but no AI) and now we move on with excitement towards our adoption. So I am actually LOOKING FORWARD to coming to the end of these next 3 months, which astounds me! There is no fear or dread, or even that much “hope” around getting pregnant. In a funny way it almost feels like the first few months of TTC! All that excitement, KNOWING that at the end of 3 months we will be on our way to our baby. So, after 4 years of struggling so deeply emotionally with this, as “comotoi” said - this “clicked” something in me. I dearly hope that you find your peaceful point, whether that is pursuing one or the other or both. There is nothing wrong with any option you choose, and you can change your mind at any time and do whatever is right for you in the moment. You have been through a LOT already, and I hope that you have love and support and are kind to yourself. Thanks for listening to my own journey. Thank you so much Everyone for your support and advice.. I know that either option is full of it’s ups and downs! Waiting is so hard! But It’s nice to know that I am not alone! Hi! I totally understand what you and your husband are going through! My husband and I tried for four years (first naturally, then 5 rounds of IUI, and then 6 IVF cycles) before we decided to look into adoption. Actually during my 5th cycle of IVF, we decided to have a consultation with a reputable lawyer who specializes in adoption. We always knew we wanted to be parents and we wanted to do everything in our power to achieve our goal. From then on, I felt so much more at ease because I could continue the fertility treatments and engage in the journey of adoption at the same time! Long story short…in a year and half from our consulation, we had the delight of being parents to our beautiful little girl!! Adoption was meant to be for us and we couldn’t be happier! I just recently started getting back into the fertility game, but there definitely isn’t as much pressure as before. If it happens, it happens. Now, we are interested in adopting again! Believe me, you will know in your gut when enough is enough….follow your instincts….Best of luck to you guys! Thanks for your insight Bianca! This is all so hard. And having a hard time making decisions doesn’t help either. I thought I would give you all an update. We’ve started the adoption process. We are excited to start this new journey of our life. I really feel like it’s what I am suppose to do. Does that sound strange lol? It just feels right. Thank you everyone for your insight!